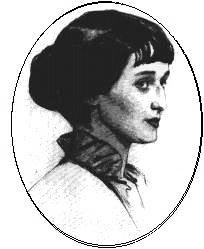 ﻿ Poetry Lovers' Page - Anna Akhmatova: "There is She...."
You are here: Home » Russian Poets » Anna Akhmatova » "There is She...."
ANNA AKHMATOVA: "There is She...."
There is she, the fruit-bearing autumn! And could not rise myself from the earth. Was in secret transmitting her grace.